← Alice’s First Day Of Preschool. Tom’s First Day of Pre-K. 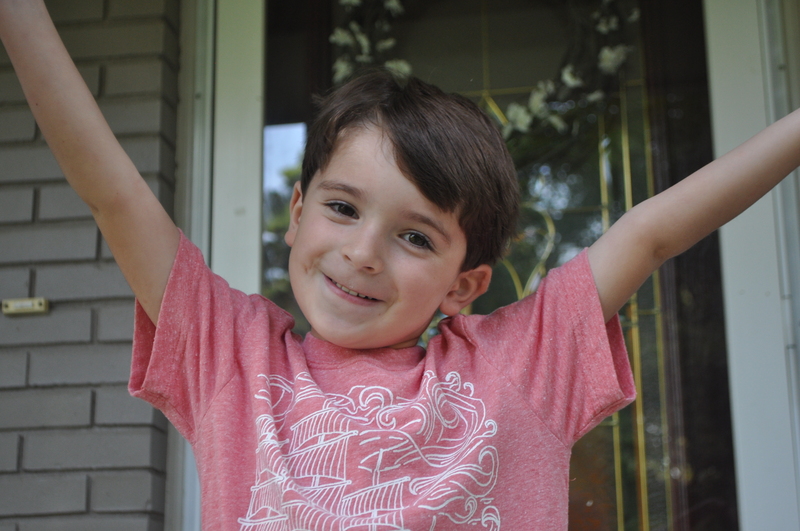 This photo is the photo of someone who was excited about his first day of Pre-K! 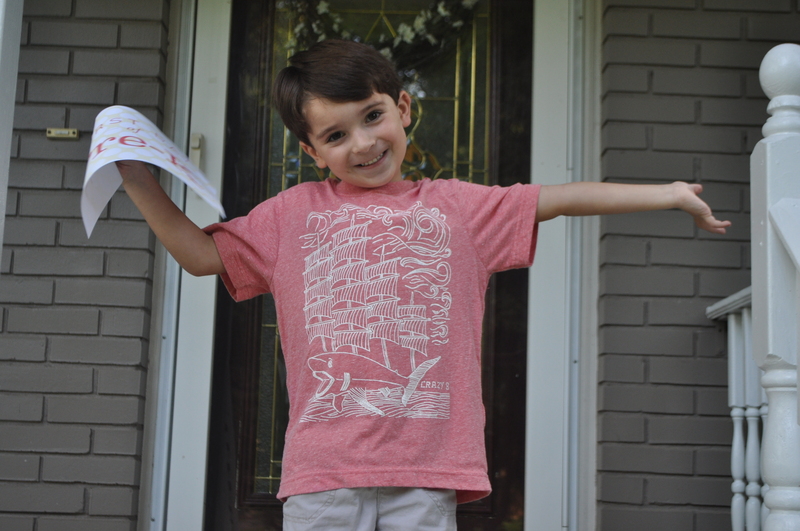 Tom started Pre-K last week, and we were so excited for him. The poor guy missed the first two days of school due to illness, so the fact he was finally well enough to go was very exciting in and of itself! He was so happy to go, and when I took him, he just walked right in, ready to learn the rules of the classroom. He walked in bravely, and then was a little shy when they asked him to pick out his name from the board — but he did it right away, and was thrilled to see that his new room has a Lego table. Ha! He waved goodbye (barely!) and that was that! His first day had begun! Tom is attending Pre-K at the same school he has been attending preschool, so he’s really thrilled to be one of the “big kids” on campus now. This is the first time he will be going 5 days a week, but his schedule is still 9am-1pm, so we hope he will learn a lot, get used to the 5 days a week, but will still be thrilled to be home with us a lot too! I really missed him last week. Five whole days of school a week just seems so weird! And crazy! And I cannot believe I did that for half my life! But I’m happy for him, and I know he’s having a great time. His second day, he told me the highlight was seeing Alice on her playground and being able to wave at her. I know he will be amazing, and he’s excited to see his friends again. So I’m thrilled that one of his best buddies already — is his teacher.